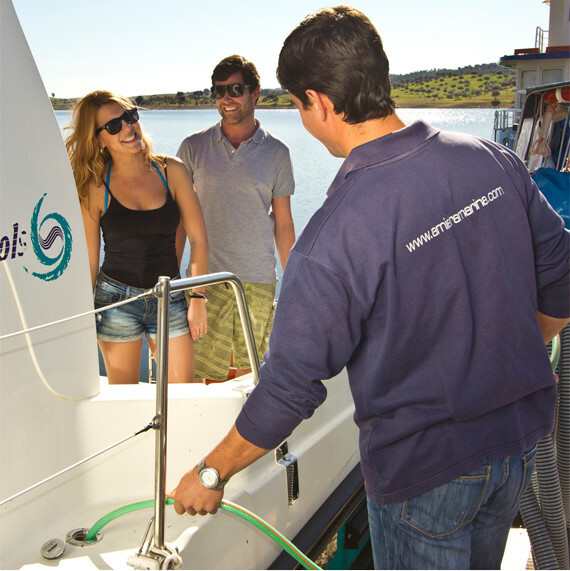 Moor your boat in our Amieira Marina at affordable prices and without any worries. Find out more about where and how you can moor the boat. The growing use of the Great Lake by private boats and the expected growth in boating has led to the need to create safe and easy-to-use docking facilities. 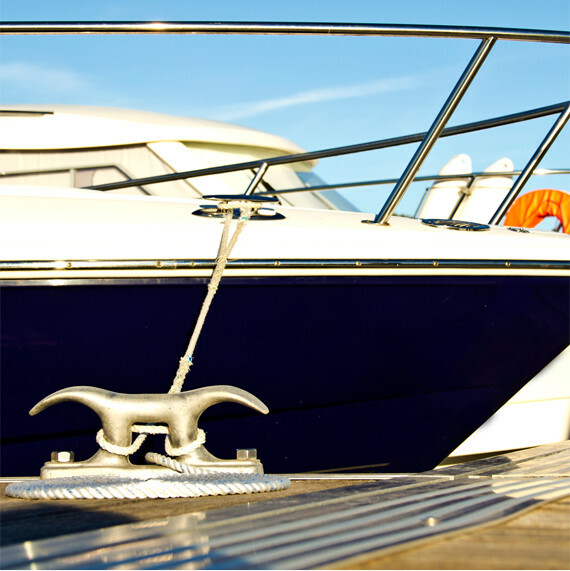 The Amieira Marina offers mooring facilities for vessels as well as private parking ashore, whether on the owners' boat trailers or using the Amieira Marina's boat stands. 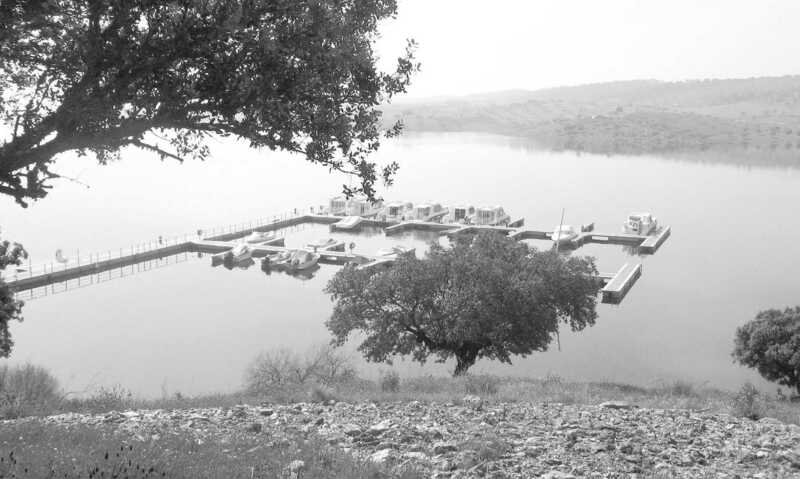 The Marina also has an access ramp for launching boats, as well as special equipment (hydraulic trailer) for safely retrieving boats of up to 15 000 kg. 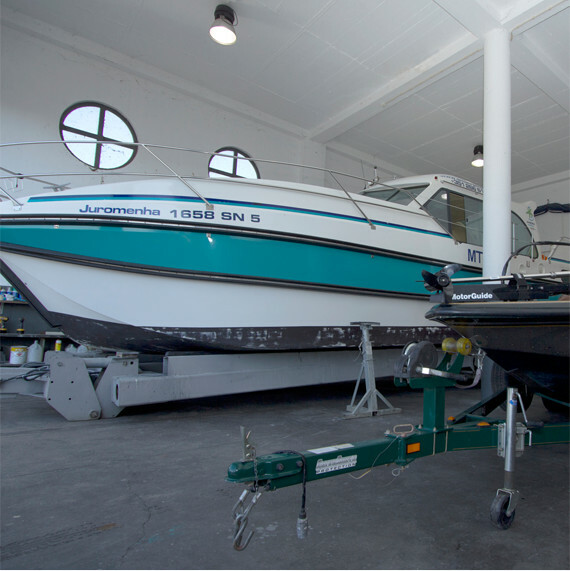 The Marina has a fully equipped and well located repair shop that can provide maintenance and repair services of hulls and motors of both privately owned vessels and the vessels owned by Amieira Marinas. Next to the covered repair shop there's an outdoor enclosed area for repair work." 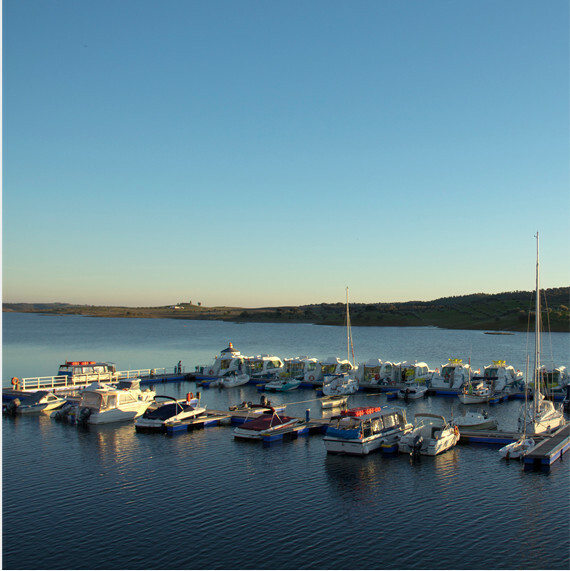 The Amieira Marina provides various services to the users of its boats and marina. Learn more about them below. Prices include water and power supply, and VAT at the legal rate in force. Parking of vessels on land in an enclosed area: 70% of the above price for the class and season. Prices include VAT at the legal rate in force.